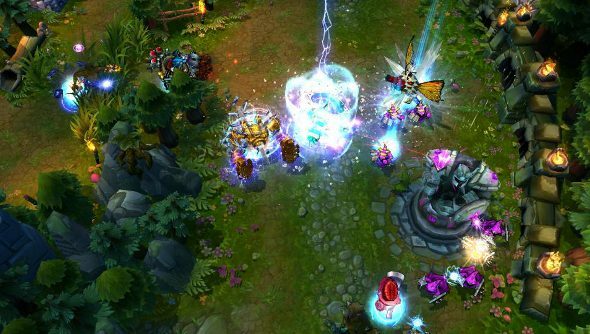 A number of naughty sites and skin resellers have gained the ire of Riot. The League of Legends developer has declared war on these illegitimate resellers after it noticed an increase in fraud. As of today, Riot will start to deactivate all previously issues codes for champion skins, and the studio is working with payment companies, recommending that they no longer process payments from these sites. The sites in question purport to sell special limited edition skins, but the codes have been acquired illegitimately, says Riot, and they exploit players. One skin, the developer claims, cost over $1,000, and generally they charge high prices. There’s also the risk that they take the money without sending customers the content they’ve paid for. Riot says that these resellers have a detrimental impact on the game itself, as they often use bots, which ruin the games they are in and waste server bandwidth. While skin codes are being deactivated, you can inform Riot that you have a legitimate code, and once you’ve shown proof of purchase, the code will be redeemed. You will need to do this before July 23rd, though. Skins that have already been redeemed won’t be affected.